I would like to have a list of characters (presumably Japanese characters, but maybe other ones as well) that would be typeset in a specific way. For instance, put all the ‘u’ and ‘W’ of the document in red. In my case, the goal is to highlight all the characters (of a text) that are among a set of characters children should learn. Now, I know I could define a macro or a new command for every character and then replace all its occurrences with that macro, but that would be a titanic job because I expect the number of different characters to be around 200. Does anyone have an idea ? Thank you very much. This is precisely one of the things that XeTeX makes excitingly easy to achieve. 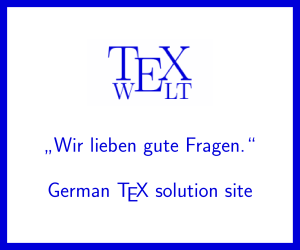 See the section Character classes in its documentation (texdoc xetex in your TeXLive/MikTeX installation or http://texdoc.net/texmf-dist/doc/xetex/xetexref/xetex-reference.pdf). Here is an example, but you definitely should check the XeTeX reference for more, especially as you mention Japanese characters, thus you may have to add lines on the model below with "0" replaced by "1", "2", and "3". instance, put all the `u' and  `W' of the document in red. among a set of characters children should learn. job because I expect the number of different characters to be around 200. The lowercase w was also added to the u and W for highlighting in this example. Here's a LuaLaTeX-based solution. It defines a Lua function, named color_chars, that renders in red all instances of characters contained in a pre-defined set of characters. The code uses the function unicode.utf8.gsub instead of the more basic string.gsub, so that it can handle characters that aren't ASCII-encoded. The code take care not to operate on TeX and LaTeX macros. The LaTeX macros\ColorMeOn and \ColorMeOff, respectively, enable and disable the operation of color_chars on the input stream. In the following example, all instances of q and Q are automatically rendered in red if \ColorMeOn has been executed. Text taken from the page about Tokyo on Japanese Wikipedia. I have no idea of what the text means, nor why the replacement character pops in. Just have your macro take an argument and then feed the characters to the macro. If they are to be consistently formatted, you want one macro which you use to format the 200 characters. You don't need - or want - 200 macros. Not the answer you're looking for? Browse other questions tagged xetex color or ask your own question.